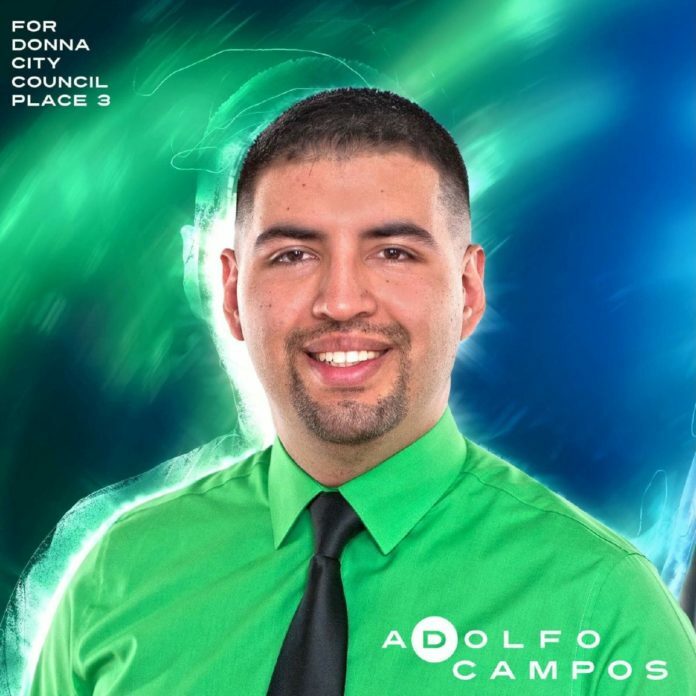 Donna city council candidate Adolfo Campos Jr. said he was fired from the school district over the use of his email. Campos served as human resources supervisor for the Donna school district prior to his termination Sept. 12. Use of his district-issued email came into question in a forensic audit released this week. During a board meeting this month, school trustees approved the superintendent’s personnel recommendations. Campos said he was notified of his termination the following day. Superintendent Fernando Castillo could not be reached for comment about the firing. However, district spokeswoman Sandra Quintanilla said the termination and the audit could not be discussed, citing personnel matters. The audit was ordered to review allegations of improper conduct by the district, former and current employees, contractors and vendors. Campos’s father owns CB Sportswear, a Weslaco-based screen printing and embroidery business. Cost estimates for shirts were included in the emails, and were sent to internal departments, according to the audit conducted by Texas-based Weaver and Tidwell LLP. Emails can be monitored, and district electronic communication tools are limited to some “personal use,” according to the Donna ISD 2016-17 employee handbook. “I was wrongfully terminated and people that know who I am will base their vote on the qualities and characteristics I possess as an individual, and not actions taken by my employment or factors thrown out by my opponents,” Campos said in an email. Campos, who’s running for the Place 3 seat on the city council, faces three other opponents in the race.